Slam Dunk is a residential and commercial construction clean up service committed to providing professional quality service at a competitively low price. 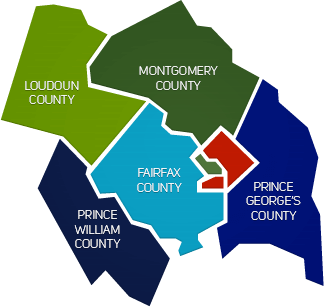 In a recent survey of our customers in the Washington DC metro Area, 100% said they were satisfied and would refer us to a friend. 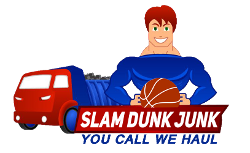 Let Slam Dunk Debris Clean Up Services show you how we have earned our reputation and the Northern VA area's finest construction cleanup company. Our fully trained team and trucks come right to you. With our hard labor and heavy-duty equipment, dumpsters and containers aren't necessary. We'll quickly load unwanted items and debris onto our trucks to be properly discarded. We are experienced in cleaning up a wide variety of sites, including retail stores, offices, warehouses, decks, storage sheds and apartment buildings. We also offer interior demolition and remodeling clean-up services. Recycling and reusing materials is an important step in our clean outs. We properly discard materials in accordance with environmental standards and avoid using landfills as a disposal solution.